IPrice minimart is the multifunctional component for interactive price-lists and product catalogs, online store. Flexible configuration component allows to create several online catalogs or price-lists with individual settings. You can organize the calculation value of the products or services with the interactive price-lists. Calculation results are "on the fly". It is possible to calculate the weight and the price of the product by formula. Also price list provides a convenient way to add a shopping cart at once all items from the page for wholesales. Component allows to insert price-lists, catalogs and "Buy" button into Joomla content using the plugin. 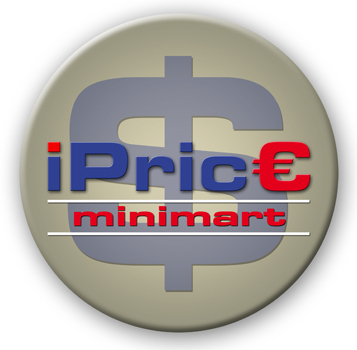 You can try IPrice minimart for free using the trial version of IPirce minimart component. Click to the "Get free trial" button or make order for "Trial version of IPrice minimart" to get the trial version for free. The Quick start package is available for trial version of IPrice minimart. This quick start allows you to start with IPrice minimart online store as quickly as possible. See more details about Quick start of "IPrice minimart" online store. A Non limited nested categories of items. Shopping cart, allows you to select products from multiple price lists or catalogs, and to issue a general order. Allows add items to cart without page reloading using AJAX technology. The "One-step" checkout page - ordering products in one step. 2 ways to display products: catalogue and interactive price list with calculation totals "on the fly". Adaptive price list for the various screen width of mobile devices and desktop computers. The item fields that are allowed to hide, can be hidden to the price list does not go beyond the boundaries of the work area when displaying a price list on narrow screens. Thus you can adjust the price list that on the wide screen displays the maximum possible information about this product, and in the narrow screen displays only the minimum necessary information about the product. Demo. Image gallery for product and category. Allows to change images on the product page when the user select a main property of the product. Multiple product. You can setup category as multiple product. All Items in this category will be the components of the product-category. Shipping and other cost of order. Shipping and other costs can be calculated by the formula. Two modes of tax accounting: "The price includes taxes" and "Price does not include tax”. Ability to specify the tax rate for individual items, for all items of the category or all items of the section. Ability to specify an exception, replace or abolish the tax rate for individual items price list. Also it is possible to set a global tax rate for whole order. Flexible discounts / surcharges. Ability to specify up to 5 volumes of discount /surcharges for each product, for all items of the category or section using stepwise discounts. Discount for the item can be inherited from the discount category. In turn, the discount category can be inherited from the discount section. Volumed discount / surcharge may depend on a quantity of selected item or a total amount of selected item. Discount / surcharge may be specified in percentage or fixed amount. It is possible to specify a global discount / surcharge on the total amount of your order. Such a global discount / surcharge may also be a volumed, allowing set up to 5 levels of discounts / surcharges, depending on the total order amount or the general quantity of products in order. It is also possible to assign the memory discount on the order, which will depend on a total amount of already paid orders. It is also possible to calculate bonuses for the user from an each paid order. This bonus can then be used for full or partial payment of the following orders. User groups to assign individual discounts to the user. Ability to assign users to one of five groups. Each group can be assigned individual discounts for individual items, for all items of category or for all items of section. Also each group can be assigned individual global discount / surcharge. Access control allows you to set permissions to admin menu items of the component for any Joomla user group. Also you can hide any product field for any Joomla user group, including such fields as "Price", "Select", "Image" and others. The simple accounting of stock. Ability to ban ordered products out of stock. Automatic reduction of number of products in stock when ordering. Returns to the warehouse if you cancel. A comparison function, which allows to choose products and compare them visually in the summary table. User Control Panel orders. Using the control panel the user can view and print their orders, cancel orders, pay orders, as well as monitor the status of orders. Ability to attach a file to the item in your shopping cart. Ability to insert price lists, catalogs, and button "Buy Now" into the site content using the content plugin. Supports Captcha plugins for spam protection. Imports from CSV file. Ability to update products from a CSV file (updating price, available quantity and etc). Multicurrency support with automatic recalculation of totals depending on exchange rate. Supports SEO links. SEO tools allows to specify meta-tags Title, Description, Keywords for a product page, section page and category page. Order Management by Administrator (view, add, edit, delete order, re-sending order). Search products by characteristics. Integration with Joomla search using search plugin. Allows to add custom fields for product. Two kind of custom fields: properties (user can change the property for product) and characteristics of the product. Flexible adjustment of displayed fields in the price list, in the checkout page, and also in order. Allows to add custom fields for contact information of the order. Supports field checking and tabs for field groups. Electronic shipping of items: each item can be assigned a file or a text that will be shipped by e-mail after the payment order. The Main Property of a product, which affects the price. Choosing the main property by the user can change the price of the product and images in product gallery. The calculation a price or weight of items by formula. Integration with the plugin JComments, allowing to comment products on the product page. Integration with component Community Builder, allowing substitute Community Builder user details in the contact information of the order. Export orders in XML format for later import into other accounting systems. Allows to hide any product field (include Price, Select quantity box, "Add to cart" button and etc) for some Joomla user groups. Allows to restrict access to the category of products on the site for a group of users using Joomla access levels. Allows the user to attach files to the order. and many other features. See the documentation, demo and use the trial version to learn more about IPrice minimart. Plugin for JComments component. It allows the user to comment the product on product page. Advanced Search Module - allows you to search by various fields of product, including custom fields. All additional extensions are included to the component IPrice minimart. The component require IONcube loader installed on your web server. In the case of places without IONcube loader, you must install it before using the component. The installation process is usually simple. Read the license agreement before using the component. 2018-05-16 - Update for quick start of Joomla e-shop "IPrice JSN One"